Smoke Gets in Your Eyes & Other Lessons from the Crematory is an entertaining and at times thoughtful book about one of the most tucked-away but necessary jobs in the funeral industry: The Crematory Operator. Written by Caitlin Doughty, who worked as a crematory operator and is now an “alternative” funeral director, author, and YouTube personality, the theme of the book is not really cremation or funerals or gory details, though it definitely includes that. The main theme is death itself. Specifically, how our culture interacts with death (or tries to avoid it), and what things might be like if we looked death – in all of its messiness – straight in the face. In large part a memoir of Ms. Doughty’s first six years working in the funeral industry, Smoke Gets in Your Eyes functions in turns as an exposé of the funeral industry, a defense of a healthy interest in death, and an inside look at interesting funeral and memorial observances of various individuals, families, and cultures, as seen through the eyes of a crematory worker. These things are all tied together by a question: Does the contemporary funeral industry help us die well? This is a fun book. The style is engaging, with plenty of stories both humorous and serious. Heck, the opening chapter is called “Shaving Byron” and in it Ms. Doughty describes standing over a dead body and holding a pink disposable razor on her first day on the job at Westwind Cremation & Burial. Yes, be careful. Just as I’d been careful all those other times I had given someone a shave. Which was never. Yet despite the charming and lively tone, this is – thankfully – more than just a collection of weird and unusual stories from a creepy profession. Ultimately, Smoke Gets in Your Eyes is a lament at our society’s lack of meaningful funeral traditions. In this book, Ms. Doughty paints a disturbing picture of the modern American or Western culture of death, dying, and funerals. The painting isn’t disturbing because of all the descriptions of shaving corpses, the process of embalming, or the depressing task of picking up stillborn children from the hospital. Maybe I’m desensitized from years of blogging about funerals and cremation urns (although I still don’t like icky murdery stuff, horror movies, or have any sort of fascination with dead bodies whatsoever), but I did not find Smoke Gets in Your Eyes to be over-the-top gross. Yes, there are dead bodies. Yes, the cremation process is described in detail. Yep, embalming too. Yes, there are tales of mortuary mishaps, discolorations, “ripe” odors, and decaying bodies. There are even observations on body disposition practices, including cannibalism, in other cultures. There are also a handful of swear words. It’s a solid PG-13. But the author, I think, is not trying to shock or stir up weird morbid predilections. This is a straight-shooting albeit necessarily macabre work that is interested in getting you to think about how our culture handles death and dying, and how you will handle it when your time comes. As such, as I will say later on, it is a worthy read. End sidebar. So, yes, those bits can be sad, unsettling, or kinda gross in turn. But our culture of death isn’t depressing or disturbing because of any of that. People tend to want to buy things when someone they love dies. 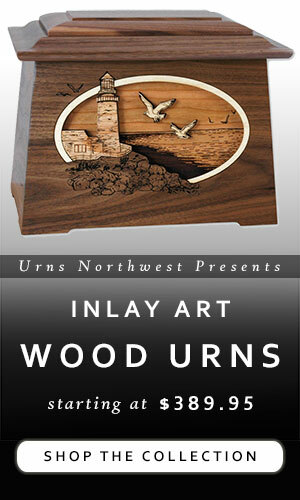 The modern funeral industry at large has done a great job of capitalizing on this phenomenon (full disclosure: I’m no exception, we sell cremation urns and memorial items at our retail website, Urns Northwest, so there ya go). You see, we’ve been sold the idea that death is handled by the professionals. 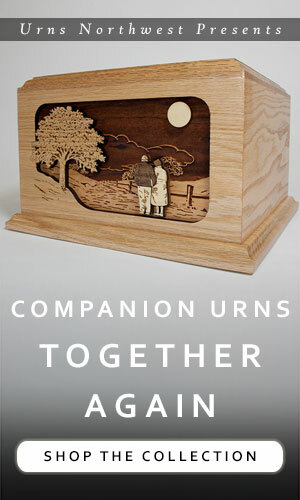 When someone starts to die, we take them to the hospital or place them in a special home. As soon as the death occurs, the funeral home or crematory staff swoops in and takes away the body, hiding it until deemed “presentable” (i.e. fully embalmed with formaldehyde and painted with makeup). Or maybe you choose direct cremation, in which the body is cremated right away and within a few days you get handed the ashes in a plastic box, or perhaps a fancier (and more expensive) memorial urn. Maybe it is good to have this professional help during a time of grief, loss, and sadness. 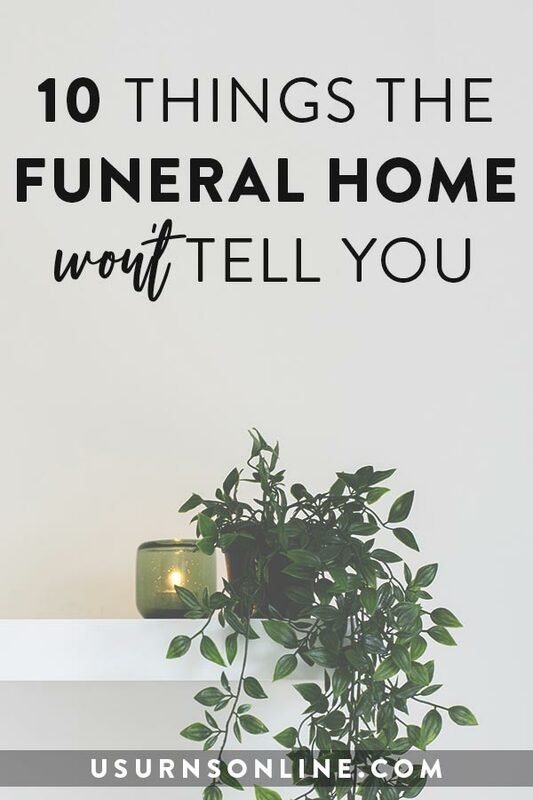 Maybe it is a great help to have the paperwork filled out, the grave dug, the casket supplied, all with no cause to worry about what to do with the rapidly decaying body in the bedroom. Getting that kind of professional help is good, right? The downside is that this system leaves nothing* for the grieving family to do. Nothing, that is, except to buy stuff. 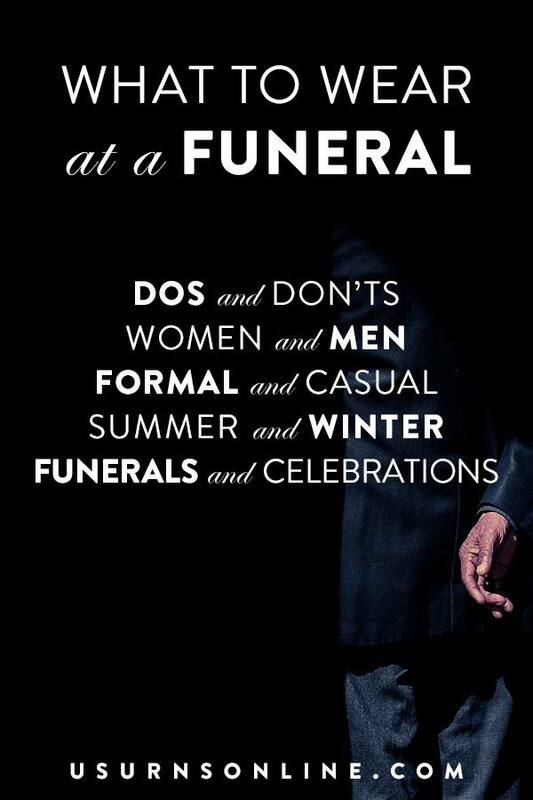 *Yes, even with the help of a funeral home there is a lot to do when planning a funeral. Many of those things could – should – have been decided ahead of time. And many more are simply fluff, busy tasks that have little value in terms of mourning the dead and healthily processing grief. Prior to all this, Ms. Doughty explains, were the good ol’ days when people took care of their own dead. While of course everyone earlier generations lacked our technological, scientific, and medical advances, what they did have was the necessity of taking care of their own departed loved ones. Before the hospitals and funeral homes tucked away the gory details of death, people really did usually die at home. Their families relieved their pain and kept them clean as best as they were able, and when they died the family would lay the body out on a bed or kitchen table, wash and dress it, build a casket, dig a grave, say their goodbyes, and bury them someplace nearby. Well, sure, that is a bit of a rose-colored glass view of history, but the point is this: Nowadays, the dead are hidden from view. Many people can go for the majority of their lives without ever seeing a dead body. In Ms. Doughty’s view, this puts us at a disadvantage. When a person is taken to a hospital to die and then a mortuary for the funeral, grieving families do not get to have that time in close proximity to the dead body to properly mourn, say goodbye, and come to grips with the fact that the person they loved so much is gone. Combine that with a culture that “celebrates life” with anti-aging creams, plastic surgery, worshiping the young and beautiful, saving for a non-stop luxury vacation during retirement, and prescription medications that promise a long and pain-free life. Then throw in a few extras like advances in technology that mean longer, more active lives; the tendency to shelter our young from any sadness or interaction with death; the human tendency to show only Instagram-worthy moments. Put all these things together in a mixing bowl: Medicine, science, technology, professional funeral homes, a general aversion to death and dying, and the non-stop media portrayal of eternal youth and beauty. Toss it in the oven and out pops a culture that deludes itself about the reality of death and therefore has no meaningful traditions to help mourners cope with death. At Weswind [Crematory] there was no family: only Mr. Martinez and me… I was not Mr. Martinez’s family; I did not know him, and yet there I was, the bearer of all ritual and all actions surrounding his death. In times past and in cultures all over the world, the ritual following a death has been a delicate dance performed by the proper practitioners at the proper time. For me to be in charge of this man’s final moments, with no training other than a few weeks operating a cremation machine, did not seem right. This hit on the theme of the book: Why do we let strangers take care of our dead? Sure, there are reasons of convenience and competence. It is difficult to handle a body. There are legal matters, then there are all the funeral preparations. You are in shock, you are in deep grief, you are sleepwalking through it all. It is very easy to simply let the professionals take charge. And, to some extent, there’s nothing wrong with that. But when the headstone is set in place or the ashes are scattered, what have you experienced? It is a good question to ask. While I guess you could classify Smoke Gets in Your Eyes as a funeral industry “tell all,” much of this ground has already been covered elsewhere. Ms. Doughty herself acknowledges her debt to Jessica Mitford’s The American Way of Death, which was first published in 1963. The “funeral industry insider” revelations have not changed much in the fifty-plus years since then; other books have come and gone, and mainly differ in the specific details rather than the general truths and practices. Embalmers gonna embalm, casket makers gonna casket, crematoriums gonna cremate. So the book doesn’t tread any new ground in the funeral exposé genre, and I don’t think it tries to. That is not Ms. Doughty’s purpose. A few of the stories are no doubt unique to a crematory operator as opposed to, say, a funeral director, embalmer, grave digger, or hearse driver, but there is little here that can not be found with a quick internet search. No, the “exposé” found in Smoke Gets in Your Eyes works because it is driving at a point that relates directly to how we think about our care for the dead. Cremation was supposed to be the ‘clean’ option, bodies sanitized by fire into a pile of inoffensive ashes, but Mrs. Greyhound would not go, as Dylan Thomas said, gentle into that good night. We did not succeed in making her disposal tidy, despite all the tools of the modern death industry, the hundreds of thousands of dollars of industrial machinery. I wasn’t sure we should be trying as hard as we were for the perfect death. After all, “success” meant using all the plastic and wires the present the idealized corpse of Elena Ionescu [who was, earlier in the book, fixed up with wires and cosmetics by the crematory staff in preparation for a pre-cremation viewing]. “Success” meant dead bodies taken from their families by professionals whose job was not ritual but obfuscation, hiding the truths of what bodies are and what bodies do. For me, Mrs. Greyhound blew the truth of the matter wide open: Death should be known. Known as a difficult mental, physical, and emotional process, respected and feared for what it is. As you read, a light begins to dawn. Death is messy. That’s the thing the author is trying to communicate with the unpleasant-yet-fascinating stories. We try to hide it with a nice casket, beautiful embalming work, flowers, and a reception to rival a wedding, but death is messy. Life is messy, and everyone and everything dies, so death is messy. To acknowledge this is to look at it truthfully. Out of these thoughts and experiences, Ms. Doughty has developed a passionate mission to bring change to the funeral industry. With this book plus a popular YouTube channel, a blog, and an active Twitter account, Ms. Doughty has become a bit of a figurehead for what is known as the “Death Positive” movement. The Death Positive movement is one part of a wider trend to rethink the contemporary approach to death and dying. 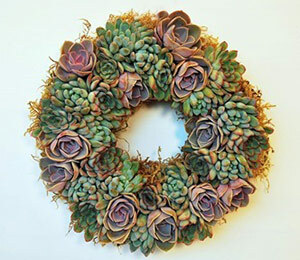 The broad trend would include many young funeral directors – a majority of whom are women – who emphasize eco-friendly and alternative funeral arrangements along with a people-first mentality and an openness to other traditions. Other signals of the broader trend include the rise of “death doulas” (also known as “death midwives” or “end-of-life doulas,” the latter being the preferred term). These end-of-life doulas focus on helping the family care for the dying and carrying out their end-of-life wishes. There are also “Death Cafes” that happen around the country, where strangers gather together over coffee or tea and talk about death, and the re-emergence of home-based funerals and natural burials. Caitlin Doughty’s part in this broader movement seems to be the role of a young, energetic popularizer of ideas to the up-and-coming generation of funeral professionals. She has published two books (Smoke Gets in Your Eyes in 2015, the second, From Here to Eternity: Traveling the World to Find the Good Death, in 2017), runs the aforementioned YouTube channel, has given several TED Talks, and founded the trendy niche website The Order of the Good Death. Ms. Doughty’s theme is the same in each of these channels: In the West, the culture in general and the funeral industry in particular steers people away from a healthy understanding and tradition of death. We can, and should, do better. But what if there already is another, better way? As I’ve said above, Smoke Gets in Your Eyes is a lament at our society’s lack of meaningful funeral traditions as well as a plea for better ones. Now what, exactly, those traditions should be – what it means to have a “good death” – isn’t entirely clear. Ms. Doughty admiringly describes the death and funeral traditions of several other cultures, noting that the history and symbolism behind each ritual adds a sense of empowerment and comfort to the participants. But while she values the traditions, she also makes it clear that she doesn’t buy in to any of the beliefs that provide the support for these traditions. This strikes me as a throw-out-the-baby-but-keep-the-bathwater approach. How can you have meaningful traditions without believing in what the traditions signify? To be clear, she does advocate for some specifics. Yes, let’s get away from the overly-formal professionalism; yes, get more eco-friendly; yes, have family and friends more involved; and sure, do what you want instead of buying a packaged deal from a funeral home. Those goals are admirable. And it does seem like these steps are an improvement on the current status. But is that the good death? Does going into the void surrounded by family and friends make death any less of a void? Can you achieve “the good death” by lowering your carbon footprint with an eco-friendly casket or urn? Does a really well-thought-out funeral plan provide hope? Or how about rituals… can you borrow something that feels mysteriously exotic from other cultures and suddenly make your death (or, if we’re being honest, your life) more meaningful? Perhaps a raucous tradition like the Balinese practice of waving the casket around to confuse the spirits, or an expression of creativity in the vein of the Ghanian fantasy coffins. Or simpler things, like a prayer incorporated from a religion you admire, a song from your family’s ancient roots in Germany. Again… these are all nice things. But do they make a good death? I think that in order to have meaningful funeral traditions, you must have meaningful beliefs. After all, a tradition is an expression of belief. Could it be that our society’s lack of meaningful funeral traditions has to do with our lack of meaningful beliefs? This points us to the biggest questions in life. What do you believe about death? What do you believe about life, the meaning of life, and life after death? These are the questions that need to be addressed in order to have the good death. Most religions make some sort of claim about these things. The one that best answers these questions and rings true to me is Christianity. Christianity is a religion with a long and storied tradition of respectful burial and funeral traditions that flow from the core message of God becoming man, dying, defeating death, and rising again. I’m a Christian, and since Smoke Gets in Your Eyes begs this question, let’s take a look at what makes a meaningful funeral tradition. What is the gospel? Here’s a one-minute version and an eight-minute version. Because Christianity promises both the solution to the problem of death and the promise of life after death, the rituals and traditions we observe when someone dies are important and meaningful. I think that Ms. Doughty would agree with at least the last part of that sentence: When someone dies, the rituals we observe are important and meaningful. But you can’t leave it at that. You have to say why the rituals we observe are meaningful. That’s what Christianity provides. Christians can learn from the Death Positive movement (and others like it) because they (as Ms. Doughty does in this book) are thinking richly about the meaning of death and how we go about dying. At the same time, the Death Positive movement can learn from Christianity because we have the philosophical and theological framework to see not only meaning but also hope in the midst of death. When people think long and hard about how to help others die peacefully; when they show concern for the environment which God has created and respect to the body which God has given; when they strive to help the family mourn in a healthy way while not being taken to the bank for useless funeral products; when these things are happening, Christians should listen. So to Christians I would say: Read this book! It is definitely not from the Christian perspective, but it has a lot of thought-provoking things to say. And it is an entertaining read. Same thing goes the other way. When a faith has so much to say about death and the messiness of the world; when that faith has a long tradition of caring for the dead and dying, establishing hospitals and schools, and furthering the welfare of the human race; when that faith has helped produce and shape the ideas of human rights, dignity, and equality; when these things are indisputable, then others should listen. So to those interested in or part of the Death Positive Movement I would say: Pick up a Bible and read it for yourself! It’s a big book, so maybe start with the Gospel of John. It’s a biography of Jesus that only takes about 2 hours to read, is one of the most influential books in human history, and has quite a lot to say about death. I do have one major holdup. In Smoke Gets in Your Eyes (and in most of the other ‘rethinking the funeral industry’ movements) a “good death” begins and ends with the self. Others outside of the autonomous self are considered, of course, because everyone wants to be nice to their family and loved ones. Taking care of the environment is advisable too, because everyone knows that it is important. And faith, religion, and generic gods are allowed, should the individual find peace in believing such things. But as long you can acknowledge the reality and inevitability of death, Ms. Doughty essentially encourages each person to choose your own adventure. Using the language of personal dignity and the philosophical framework of human rights, the individual and their choices are presented as the primary concern in finding the good death. If you want to die alone or surrounded by friends and family, if you want to be cremated and their ashes spread on the beach or have their body left on a hill and picked apart by carrion, well, more power to ya. While Christians can agree that individual rights and dignity are important – very much so – a gung-ho attitude about death and choosing how you want to die are not the ultimate answer. Death is still a symptom, and it can never be fully faced until the underlying disease is identified and cured. Throughout the Bible, Christianity teaches that there is only one way, one truth, and one light: Jesus Christ, the one who died and rose again. By faith in him, you can truly find the good death. 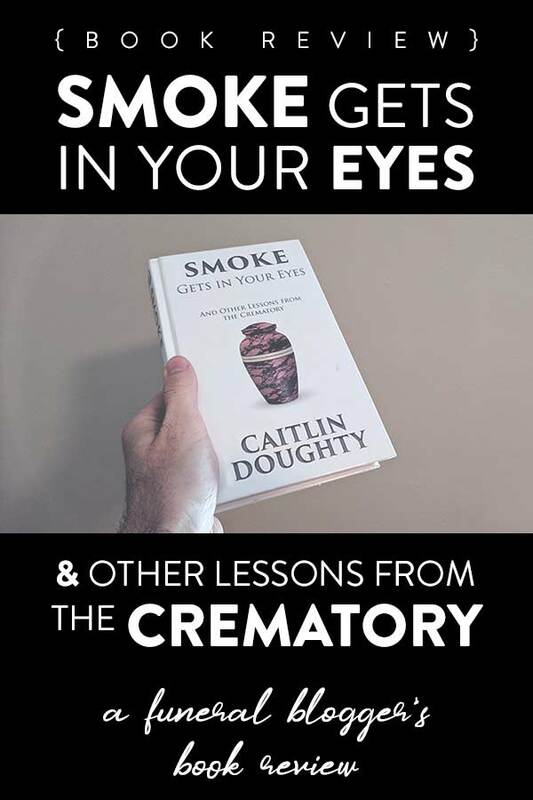 In Smoke Gets in Your Eyes, author, funeral director, and YouTube personality Caitlin Doughty presents an entertaining picture of what goes on behind the scenes at a crematory. Along the way we get some unusual and fascinating stories of what happens to dead bodies in the United States both before and after cremation, interactions with grieving family members, examples of interesting mourning and burial practices from other cultures, and a growing unease at the current state of the funeral industry and how our culture handles death. Easy to read, often funny, and unexpectedly insightful, Smoke Gets in Your Eyes is a whimsical yet sobering introduction to the funeral industry. Highly recommended. Next post: What is a death doula or end-of-life doula?